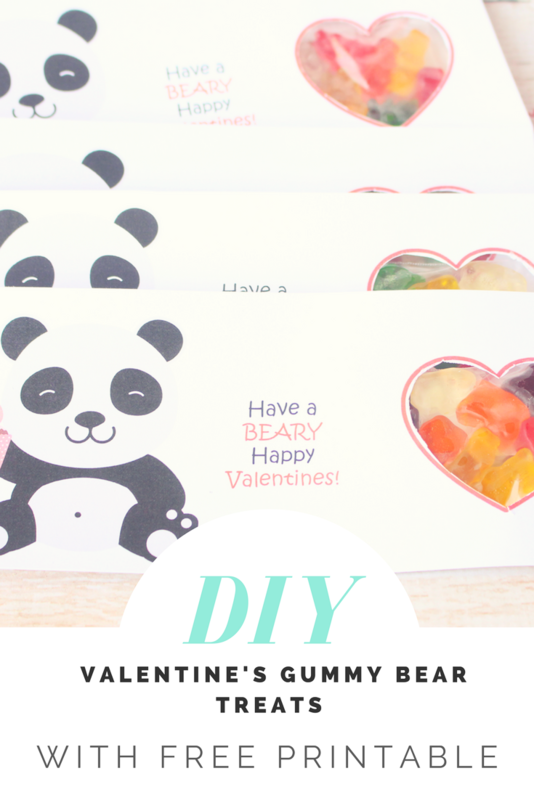 As I mentioned last week when I posted these DIY Valentine’s Pencils withFree Printable, it’s never too early to start thinking about what you’ll be doing for your kid’s classmates for Valentine’s Day. With so many kids per class, it’s essential to consider ahead! Which is what I did. 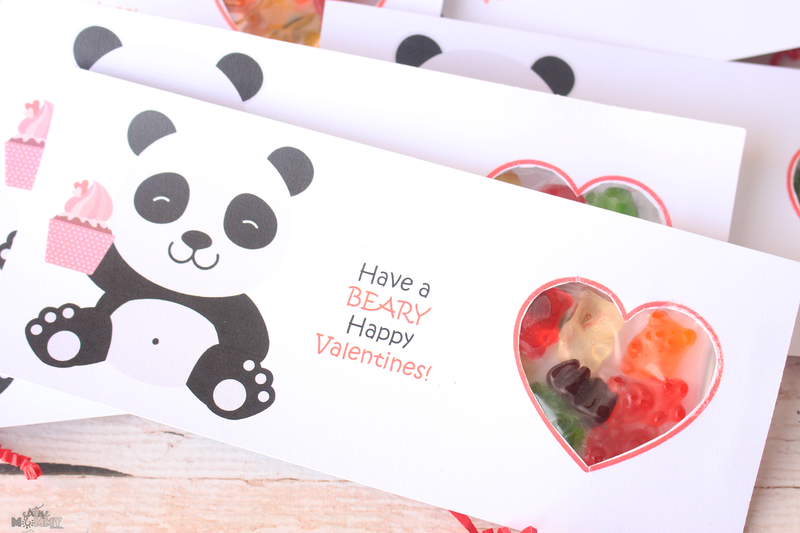 I wanted to create something fun, and cute but also have an option for a treat. 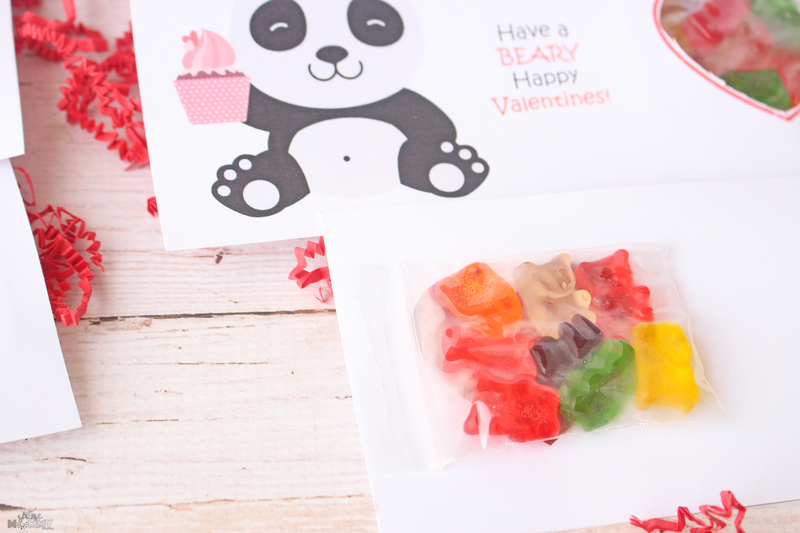 Of course, I only made a test batch to see if my idea would work, I will have to do it all over again before Valentine’s day, as we don’t want to give stale Gummy Bears to little ones now do we? I wanted something small, and sweet. So I decided on Gummy Bears. My little kindergartener Justin wants me to make them for his class, so I am going to see about a mix of these an the DIY Valentine’s Pencils. My six-year-old Jackson wants to take the pencils, so it’s always great when they are just as excited about these types of things as you are! I printed out the cards, used my paper cutter to cute with straight lines and used scissors to carefully cut out around the heart. I filled the small craft baggies with 7-8 gummy bears, got all the air out and closed them tightly. Taking your hot glue gun make four dabs around the back of the heart. Place your gummy bag on top, press firmly around edges. Then done. 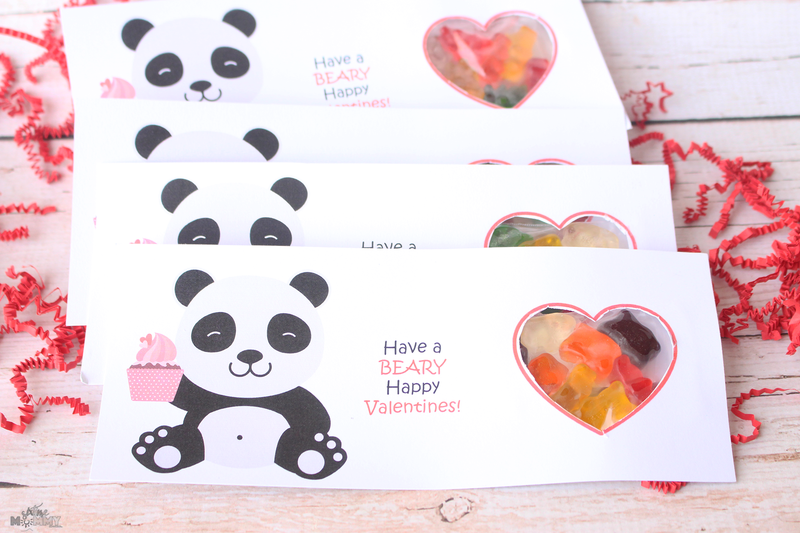 So easy, cute and the kids love the fact they get a small sweet treat with their Valentine’s card! I have so much fun making these type of classroom treats for the kids. Last year I did two different Valentine’s Day ones not using any candy at all. 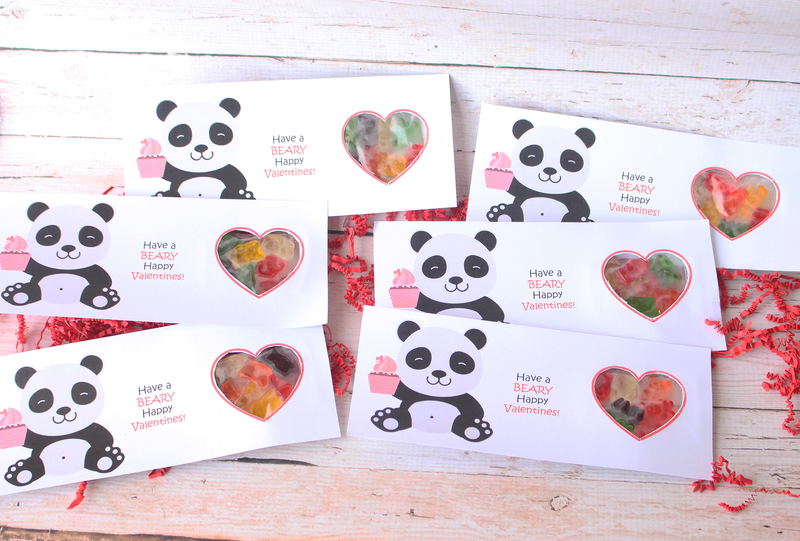 If you’d like to see them you can do so: Homemade Valentine’s Cards Without Candy and Homemade Valentine’s Cards for Kids – With Glow Sticks and FREE Printable.